Molly Powell The Secrets to My Success Volume 2 Indoor Arenas. 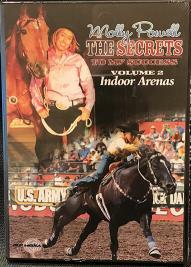 Molly Powell The Secrets to My Success Volume 2 Indoor Arenas. How to run your horse indoors. Champion barrel racer Molly Powell shares here winning strategies for running indoors. 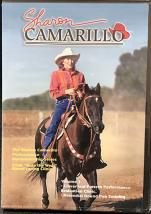 See how she practices at home, the routines she develops for success, how she preps here horses before competition as well as how she develops that winning mental attitude. TheHorseStudo.com review: Molly engages you with her down to earth manner and sense of humor as you follow her through every step of progress from how she prepares her horses for the indoor runs, to what patterns she follows leading up to the big competition to ensure that at the event her horses perform to their best potential. In addition Molly talks about the bitting techniques she uses to give her that winning edge. A great resource for any serious competitor that wants to win. Great stuff. NTSC Format North America and Canada. English language.